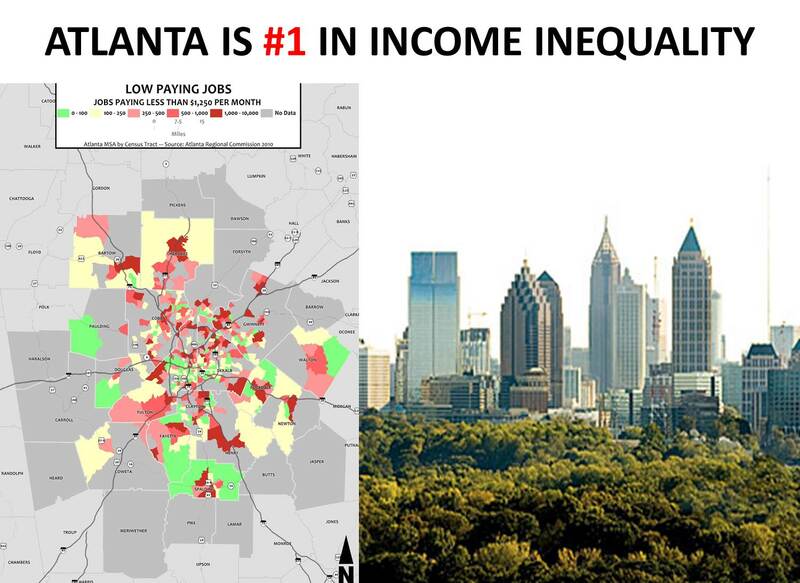 Partnership for Southern Equity’s leader Nathaniel Smith shares his opinion on Atlanta’s Inequality Problem in Creative Loafing Op-Ed:Everyone’s to blame for income inequality.So what needs to be done to fix the problem? Now that the righteous indignation has quieted over a recent report that the income gap between Atlanta’s rich and poor is greater here than in any other American city, we can’t allow business to go on as usual. When the Washington, D.C.-based Brookings Institution released its findings that the average annual income for the poorest Atlantans is about $14,850, while the richest earn an average of $297,827, or 18.8 times more, some people were shocked. Adding to the insult is another study that found Atlanta is one of the worst regions in the United States for young people to change their circumstances and rise above poverty.